Latest research has indicated that hair loss is primarily caused by shrinking stem cells. Trials are currently focused on creating cells that helps to initiate hair growth. 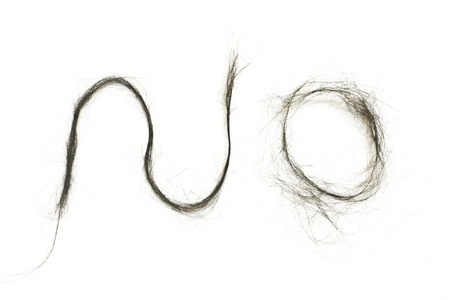 There are many reasons for hair loss, also known as alopecia. However primary reason for hair loss is aging where the rate of growth slows and remaining hair become shorter. Current method of treating hair loss range are with medications, hair replacement and hair restoration treatments, with inconsistent results across patients treated. The average adult head has about 100,000 to 150,000 hairs and loses up to 100 of them a day, not neccasarily a cause for alarm. Most common reason for hair loss is due to involutional alopecia, where the hair gradually thins with age. As people age, their rate of hair growth slows with more hair follicles going into the resting phase and remaining hairs become shorter and fewer in numbers. Another condition called Androgenic alopecia or most commonly known as male pattern baldness is a genetic condition characterized by a receding hairline and gradual disappearance of hair from the crown and frontal scalp. Other hair loss conditions could be found here. Hair follicles also contain stem cells, and some researchers has predicted research on these follicle stem cells may lead to successes in treating baldness through an activation of the stem cells progenitor cells. This therapy is expected to work by activating already existing stem cells on the scalp. Latest research conducted on 22 patients (11 men and 11 women) indicated that stem cell therapy treatment using Adipose Derived Stem Cell significantly increased hair numbers in both male and female patients.